I'd be amiss to not start off by talking about UK. I've been very fortunate to experience a lot of sporting events in my life, but I can't think of anything that rivals what happened in Lexington on Saturday night. Then on the way home from the game it was reported that College Gameday will be in Lexington for the first time ever. All this leads me to realize how much I dislike Steve Spurrier. Anyway it was a great game and I can't wait to see Commonwealth come alive again for the Gators. Also this weekend was Big Blue Madness, which from what I saw and heard from some people in attendance was not that thrilling. This was the first Madness I had every actually watched all the way through and I was a little disappointed. Especially with the lack of any exciting gimmicks to introduce the players and coaches. However, I will say that Patrick Patterson is a beast. On Saturday night there was another Madness that I was really interested in. That would be Marquette Madness. It was crazy, Dwyane Wade showed up and surprised everyone. The team scrimmaged rocking various Converse models. Below in the introduction videos and then a picture showing all of the models worn. You'll see the Converse 099, Team Wade 1, Team Wade 1.3, and Wade Team TFC. I got this picture from MU Scoop. Also you can go to http://www.gomarquette.com/ to find more pictures and videos of the event. Below is a little bit of Dwyane Wade's speech. This doesn't have the beginning of the video where it just shows Dwyane on the jumbo tron and then is says something like you'll aren't being loud enough and then he walks out which right where this video starts. Now I've got to give some love the Ron Artest. 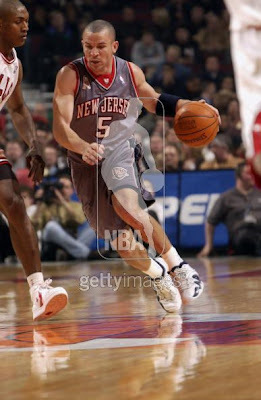 Artest as you may or may not know signed with Converse as a rookie and wore He:01 shoes with Helium, the Converse All Star 2000 re-release, and also some Dr. J Pro Leathers his first season in the NBA. However I can't find any good pictures, this is the best one that I could find. 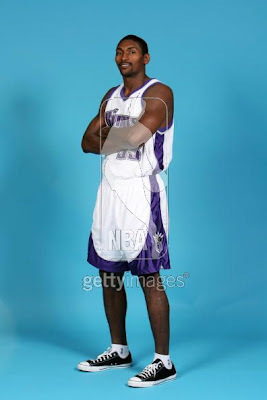 You can see Artest wearing some Pro Leathers. Then the other day the rest of the NBA media day pictures finally went up. 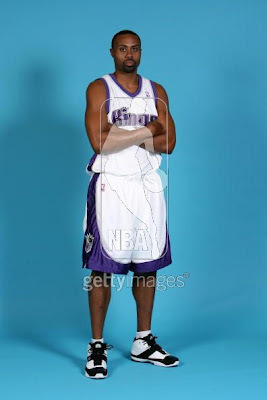 Artest might have had the best Media Day pictures for his choice of footwear. Yep that's right Ron Artest in some Chuck Taylor's. However, he's been wearing the Nike Air Force 25 in the actual Preseason games. Then I kept looking and it looks like another former Converse endorser has returned home. 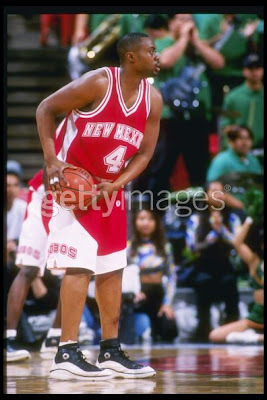 Kenny Thomas wore Converse while playing for the New Mexico Lobos and then early on in the NBA when he was with the Rockets. Below here is Kenny rocking the Converse 099 in his Media Day photo. 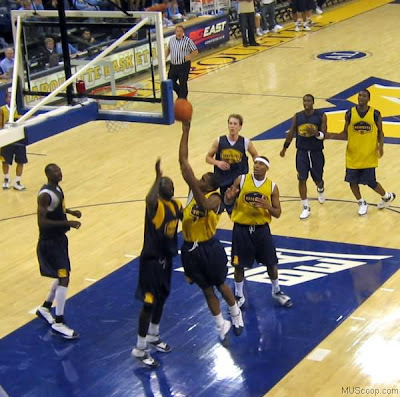 As you can see I got most of these pictures from Getty Images, the Marquette stuff I got from Mu Scoop and the Video from HilltopperMU from youtube. Well that will be it for today, thanks for coming by please clicks some ad's on your way out and tell all of your friends.